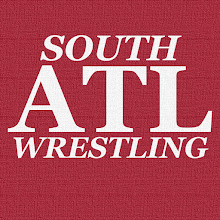 South Atlanta Wrestling: Breaking Up Rusev Day? When Montreal went CRAZY for Lana the other day, they strongly hinted that Rusev Day could be splitting up because Aiden English is holding Rusev back. I'd hate it for Aiden the most because I think that gimmick still has some mileage in it. While I like him I can't help but to think that this would be high-water mark for his WWE run. (Think Damien Sandow post-Miz). The Rusev Day pairing with Aiden and Rusev has been an absolute riot, and was such a great change of pace from the initial Rusev w/Lana pairing. My biggest concern is that a pairing with Lana takes away what makes Rusev so great right now. I have no problem with him having an edge, but I'm concerned he becomes a blander monster again. Rusev Day is so much better than that. His current presentation touches on his actual natural charisma so much more. It would be a shame to lose that. My ACTUAL biggest concern is that they'll break them up ON Rusev Day. That would just be unnecessarily cruel to them, and the fans. Anyhow, I hope they swerve us and Rusev Day stays together. No matter what though I would like to see Rusev get a MASSIVE push. That guy is gold and has been since he debuted on the main roster.